Who does not dream of plunging into cool water on a hot summer day? 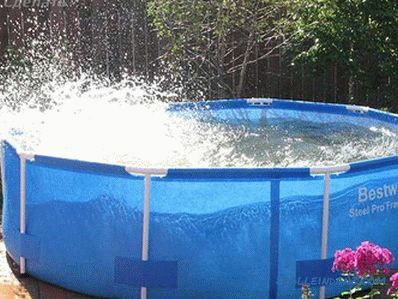 A swimming pool on a suburban plot will provide this opportunity at any time. The construction of a permanent structure, taking into account temperature drops and precipitation, will cost a round sum. 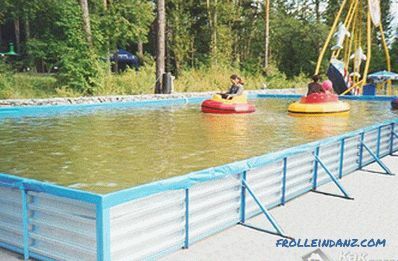 But inflatables cannot provide the freedom of movement that one would like to possess. A compromise solution is the frame arrangement. 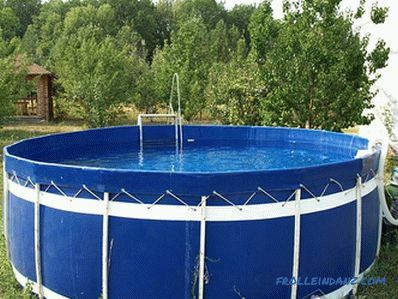 In this article we will explain how to make such a construction in the country, and also show photos of such pools. 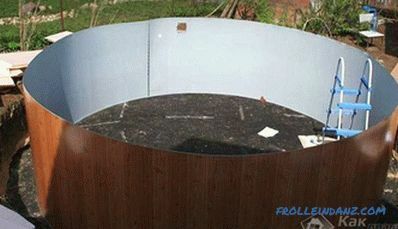 The design can be erected both with a metal base and wooden. 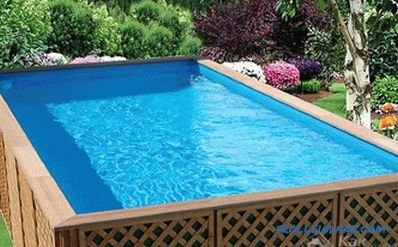 For a pool with a frame, you will need a flat surface. If there is none, you will have to create it yourself. Having previously calculated its area, it is necessary to prepare a place for the construction of the structure: level the surface of the chosen place, tamp the ground and pour 5-7 cm layer of sand on top. This is a structure that includes steel or wooden elements walls; durable film, which in some cases, either the bottom or bottom and walls. 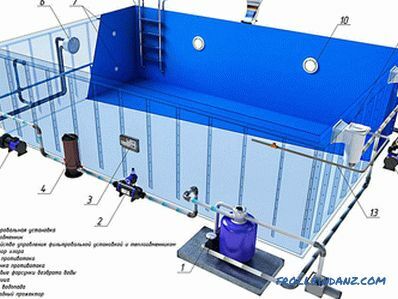 Such structures require an awning to prevent external water pollution, as well as a water purification and filtration system. How much construction material is required for the construction of the foundation depends on the size chosen. 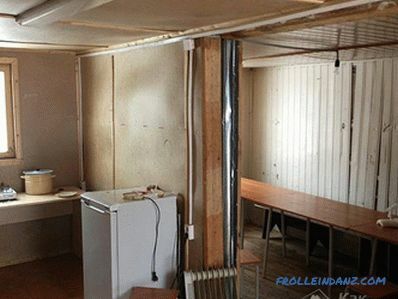 The wooden bar must have a height that is half a meter higher than the height of the planned tank. First of all, it is necessary to process a wooden bar with boards with a special antiseptic and let them dry. 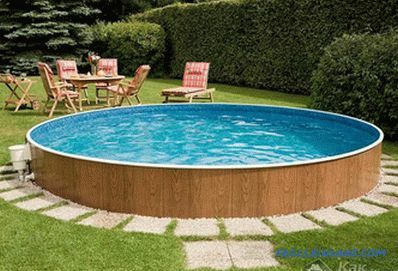 The easiest way to arrange a swimming pool is a rectangle. In the corners are mounted supporting wooden bars with a size of 100x50 mm. To better fix, the timber must be immersed in the previously prepared using manual borax hole in the ground. In order for the construction struts to become stronger, the part of them that will end up in the ground must be carefully treated with bitumen mastic. 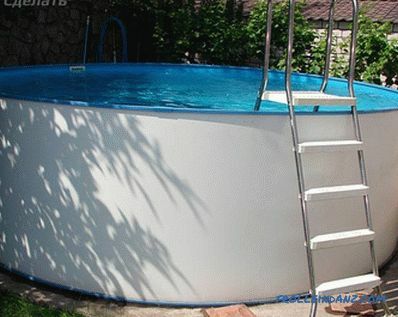 Along the longer side of the pool, one or more support bars are additionally placed, depending on the size chosen. It is required to mount spacers to the supporting racks, which increase their stability. 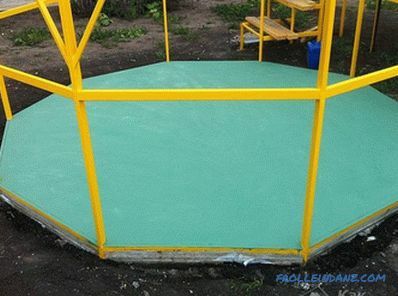 With the help of processed boards with a thickness of 25 mm, which are located parallel to the surface of the soil and are attached to the support posts, it is necessary to prepare the framework. 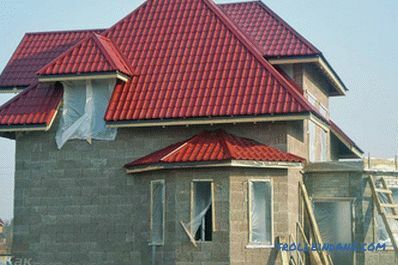 The awning fabric should be cut according to the previously made drawing, and weld the seams using building hair dryer. PVC fabric should be cut so that its edges can be bent over the top edge of the container and secure them. The finished fabric is carefully lowered into the frame, and with the help of screws, the awning is carefully attached to its upper horizontal bar from the outside. with clapboard cladding on the outside for a more aesthetic look. 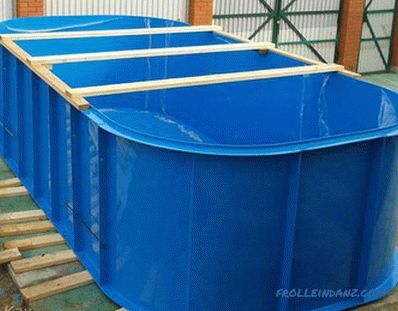 Simultaneously with the base, an awning is prepared that will protect the pool from external pollution. A ladder is attached to the finished structure so as not to damage the stretched base. 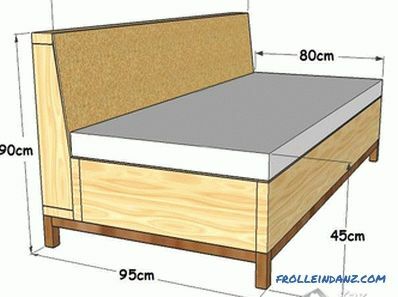 The base of the base is a chipboard or a fiberboard of the required size. To it vertically or at a small angle using metal screws fasten metal pipes, which will serve as a support. Horizontal parts can be connected using a welding machine. The cutting of the base and the awning made of PVC fabric is carried out in the same way as when arranging a wooden structure. Always consider the proximity of a well or well for convenient filling of the tank. Emptying of the container can be carried out using an opening at the junction between the bottom and the wall, which can be closed with a sealed cover or stopper.